Pasco County deputies say the man fired the gun when the victim was trying to run away. 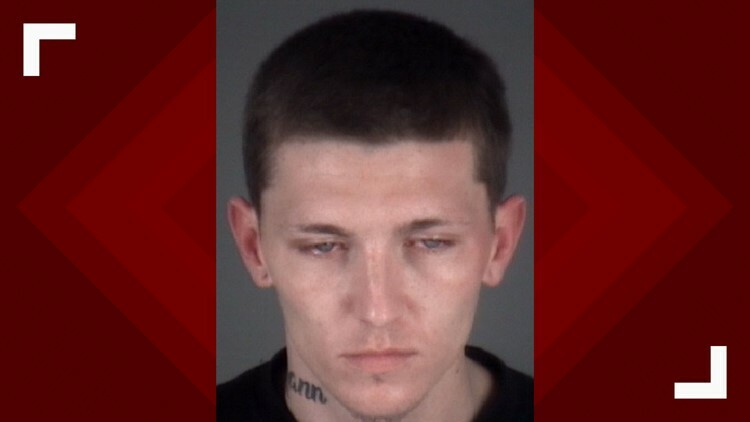 HUDSON, Fla. — A Pasco County man was arrested Saturday after deputies say he put a gun to his girlfriend's head and later shot at her. Deputies say Justin Michael Hunt, 24, got into an argument with his girlfriend in the backyard of a home. The girlfriend told Hunt she would call the police if he did not leave, deputies say. According to an arrest affidavit, Hunt then pulled out a black 9mm handgun and "promised himself if she threatened him he would put the gun to her head." Deputies say Hunt then put the gun up to the victim's head before she tried to run away. The affidavit said he "fired one round" in her direction. The arrest report said a roommate was in the backyard at the time and saw Hunt brandishing the gun. Deputies say they found one casing in the backyard. Deputies say the victim and Hunt have lived together on-and-off for three years. Hunt was charged with aggravated assault (domestic) and being a felon in possession of a firearm. If you suspect someone you know is experiencing domestic violence, there are resources available. The Florida statewide hotline can be reached at 1-800-500-1119. It connects domestic abuse victims to the county resources available in their area. The CASA and Pinellas County hotline can be reached at (727) 895-4912.